Amazing Threads What's Hot? 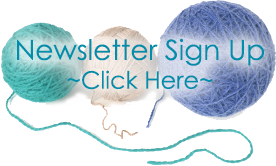 Artfil Solo, Comfort Fade Cardi Kits and KAL, PomPoms, Veronika..and the list goes on! 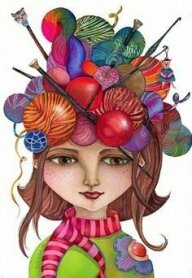 It's Time to Knit & Crochet! Thanks to all who enjoyed our Yarn Tasting Friday! 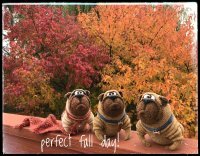 We had a great day that was filled with fun & bargains! I will focus the new projects in the next few blasts! We had LOTS! for making us your LYS (LOCAL YARN STORE)! 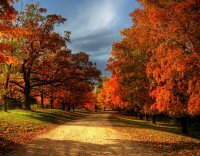 Fall is HERE and the views inside and outside the shop are just gorgeous. The colors in and out of the shop are FABULOUS! Thanks Mother Nature! 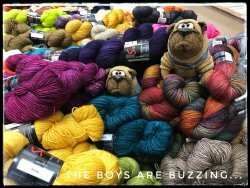 We are bursting at the seams with new yarns, great samples, and MORE! Check What's New below and follow us on for current updates! Make IT TAKE IT Pom Poms this Saturday! 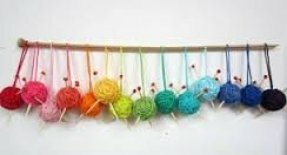 We supply materials for you to create a few pom poms. 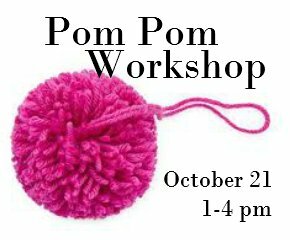 Sabrina will show you multiple ways to create GREAT pom poms! Remember when you had to wear pompoms on your ice skates??? well some of us remember! 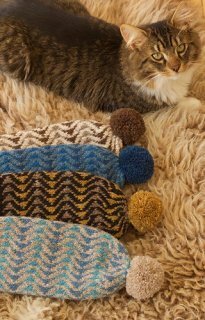 WE are seeing pompoms and tassels on shawls, hats and more this season! Enjoy a Retreat with Kate and Veronika! Registration is open but spaces are limited. 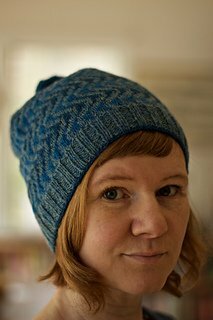 Enjoy Friday evening, Saturday & Sunday with Kate knitting on the very Fun to knit and wear Veronika! Our wonderful Mira @ Baah Yarns is creating kits to accompany our Comfort Fade Cardi (new from Andrea Mowry) KAL. There is no mystery. 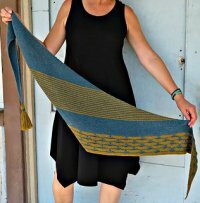 The pattern is top down and easy to knit using DK weight yarn. Sized XS to XXL. 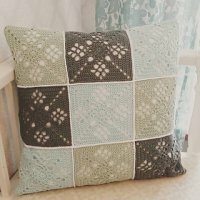 There are 4 color patterns that simulate what Andrea suggests and they are all gorgeous. 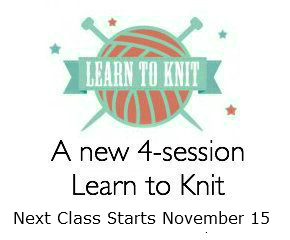 KAL begins Sunday, November 5 (2-4 pm). 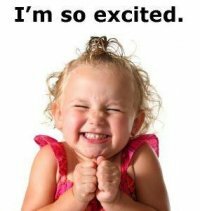 Pre-Order by Sunday, October 22 @ MIDNIGHT for 10% OFF your KIT! 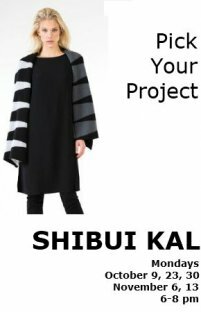 Kits must be pre-ordered by Color & Size! 400 yards of unplied Merino..colors will be up on web in a few days...BUT you need to touch it! It is so scrumptious I wanted to dive into the skeins but Suzanne and Sabrina wouldn't let me DO IT! 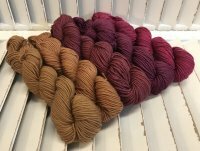 Rowan Sultano Select was launched last week at our Yarn Tasting. 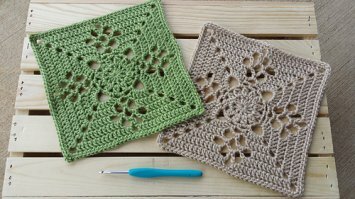 Angel and I fell in love with this scrumptious and decadent yarn! 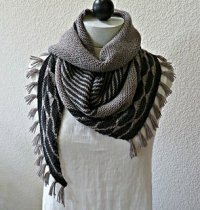 It only takes 1 to 2 hanks for the accessories and the patterns are free! Angel is knitting a Luz, a luscious cowl in Claudia Handpaints Desire....yummy! 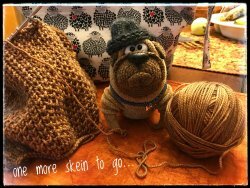 a new hand dyed worsted weight that is a great knit!